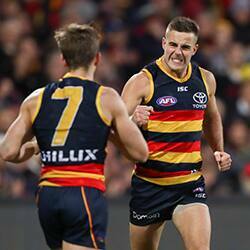 Played 17 games in his first SANFL season, finishing top 10 in Adelaide’s State League Club Champion count. The goalkicking midfielder showed his poise by kicking the match winner against Norwood at The Parade in Round Nine. 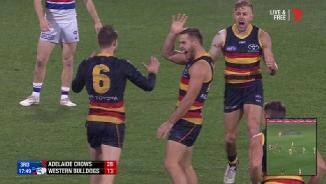 He ranked top three for the SANFL Crows in hard-ball gets and inside 50ms, and slotted a career-best three goals against West Adelaide in Round 13. 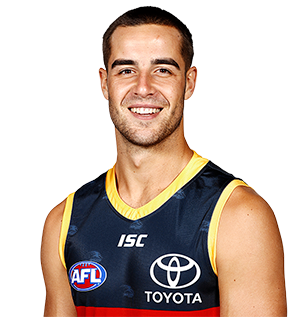 Poholke pulled on the Crows jumper for the first time in last season’s JLT Community Series and will be looking for more senior opportunities in 2018. A well-rounded and mature-bodied midfielder, Adelaide swooped on Poholke with its second selection (pick No.44) in the 2016 National Draft. A noted goalkicker who is strong overhead, Poholke starred in the TAC Cup with the Dandenong Stingrays, averaging 21 disposals to be a co-winner of the team’s best and fairest despite missing almost a third of the season. He toured with the AFL Academy squad alongside fellow Crows draftee Jordan Gallucci and also impressed at the Under-18 National Championships, featuring in all four games with Victoria Country.